Chris and Adrienne have been motivated to breed into their alpaca herd the advanced fleece character typically seen in merino sheep, yet maintaining the special softness for which alpaca is renowned. 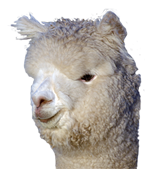 For years, Ambersun has been breeding towards an advanced fleece style characterisized by pearly lustre, high frequency and high amplitude crimp, high fibre alignment forming bundling locks which contribute to overall density and heavy cutting fleece. To maximize the opportunity for genetic improvement with each successive generation of breeding, Ambersun has adopted a number of breeding strategies. The herd has some of Australia's finest and most highly awarded alpacas. The number of championships won has been unparalleled in Australia, and provides testimony to a highly successful breeding program. 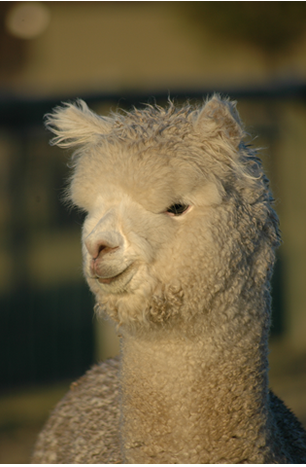 In addition to exceptional quality white alpacas, this herd makes up one of the nation's largest coloured herds including fine fawn, brown, grey and black alpacas. A selection of these alpacas is available for sale.